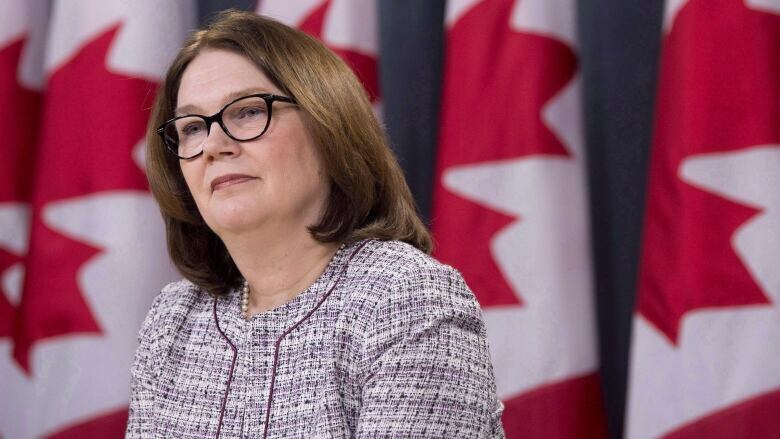 Jane Philpott, who resigned from cabinet earlier this month over the SNC-Lavalin affair, faced a barrage of tough questions from her Liberal colleagues Wednesday during a closed-door session of the Ontario caucus, sources told CBC News. Jane Philpott, who resigned from Prime Minister Justin Trudeau's cabinet earlier this month over the SNC-Lavalin affair, faced a barrage of tough questions from her Liberal colleagues Wednesday during a closed-door session of the Ontario caucus, sources told CBC News. Today's meeting of the Ontario regional caucus was the first since Philpott resigned. She did not attend today's meeting of the national Liberal caucus. Wilson-Raybould also remains in the Liberal caucus and says she will run in the fall campaign under the party's banner. As caucus tensions played out behind closed doors today, Trudeau insisted the Liberals are a "strong team" bound by a collective focus on growing the economy for the middle class, reconciliation with Indigenous peoples and promoting gender equality. "As the two members in question have indicated, they intend to run as Liberals in the next election," he said during an event in Orleans, Ont., where he was promoting the housing affordability measures in Tuesday's budget. "We will continue to work together and make sure that we're delivering tangibly for Canadians the way we did with this most recent budget."